This is basically the same show that played on Broadway for 12 years (currently the 11th longest running musical on Broadway) and has toured the country for the last 20 years. Evan Ensign directs based on the original direction by Michael Greif (who also directed this year's smash hit Dear Evan Hansen, read more about how he "shaped musicals that define generations" here), with Marlies Yearby's original choreography. The original set and costume design are used, so the look is familiar to anyone who's seen the show. The set is refreshingly simple and motionless (no dropping chandeliers or rotating stages), with scaffolding and levels used in the same way, the only set pieces a couple of folding chairs and tables. And yes, Mark is still wearing that scarf, Roger is wearing the plaid pants and leather jacket, and Mimi in her familiar spandex. And I wouldn't have it any other way. 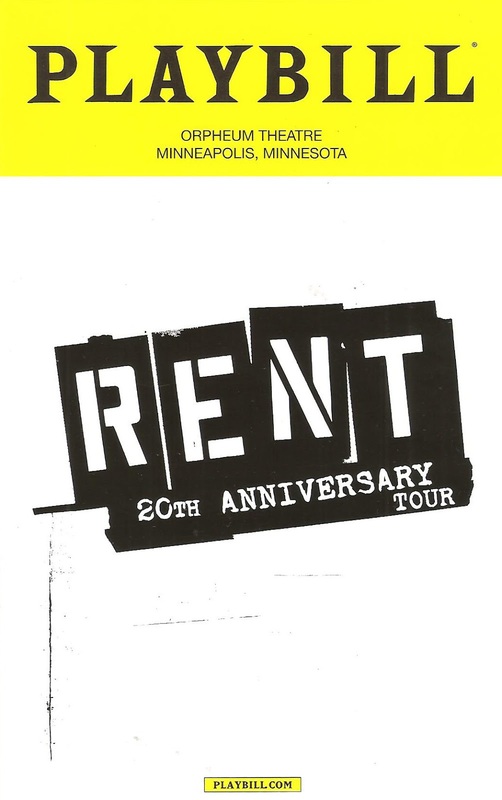 If you're looking for a new and different interpretation of Jonathan Larson's Pulitzer Prize-winning work, you'll have to wait for a regional production (and I hope there will be many to come). The cast of the 20th anniversary tour of RENT is young, a bit inexperienced (many are making their tour or even professional debuts), and perhaps a bit green (this is a non-equity tour, for more information on the implications of that see the website Ask If It's Equity), but they're brimming with raw talent and so much energy, passion, and heart. 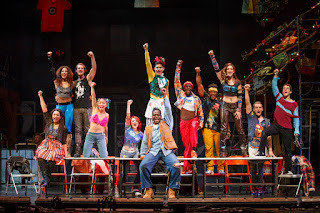 Touring the country with RENT must be a dream job for a young musical theater artist, and it feels like every person on that stage knows how lucky they are and pours their heart and soul into their performance. Kaleb Wells has the angsty attitude and powerful rocker voice to play Roger (even if he is a bit too loud at times, but it's Roger so I didn't mind so much). Danny Harris Kornfeld is so charming as my favorite character Mark. Skyler Volpe beautifully portrays the tough exterior of Mimi hiding a vulnerable heart. Aaron Harrington brings a gorgeous deep voice and warm heart to the role of Collins, who gets me every time with the 2nd Act reprise of "I'll Cover You." David Merino is very sweet as Angel, the gentle soul of the group. Christian Thompson has all of the smarmy charm you want in a Benny. Jasmine Easler is a strong Joanne, and Katie Lamark is a delight as Maureen. All of them exactly fit the "type" for each character, yet bring their own individual personality to it. 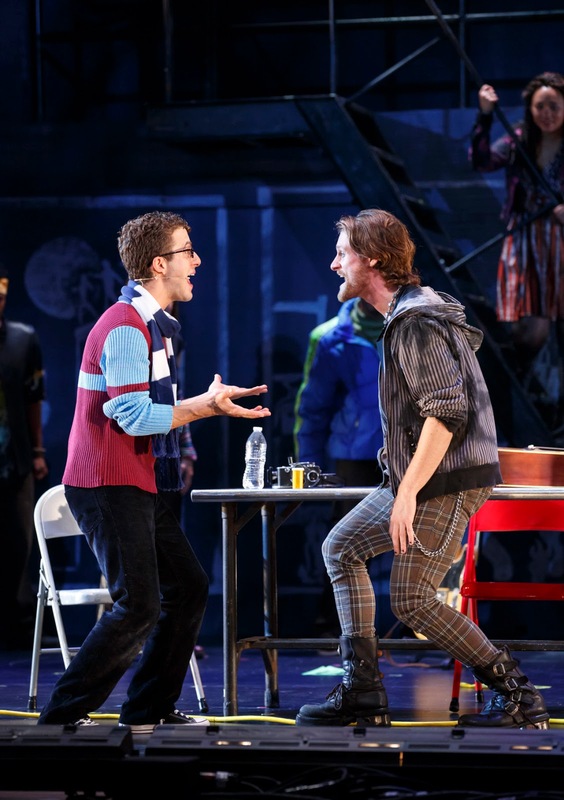 RENT continues through June 11 only, with two performances on Saturday and Sunday. Buy tickets here, or take your chances with the daily lottery, a RENT tradition for 21 years (more info here). *Some text borrowed from what I wrote about Lyric Arts' 2014 production.